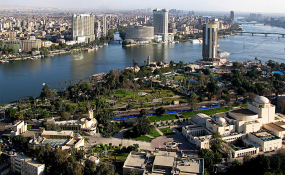 Egypt has knocked South Africa from its long-standing top spot regarding investments in Africa, according to Rand Merchant Bank's latest Where to Invest in Africa report for 2018, released on Monday. While the report found that SA also faces mounting concerns over issues of institutional strength and governance, there are some things still counting in the country's favour. These include the rand, equity and capital markets, which the report points out are still "a cut above the rest" compared to many other African nations facing liquidity constraints. The report also points out that, although Botswana, Mauritius and Namibia are widely rated as investment grade economies, they do not feature in the report's Top 10 mostly because of the relatively small sizes of their markets. Market size has been a key consideration in the report's methodology. "From a global perspective, African countries are still at the lower end of the global-performance spectrum, which continues to be dominated by the US, UK, Australia and Germany," the report states. Morocco retained its third position for a third consecutive year having benefitted from a greatly enhanced operating environment since the "Arab Spring" which began in 2010. "Surprisingly, Ethiopia, a country dogged by socio-political instability, displaced Ghana to take fourth spot, mostly because of its rapid economic growth, having brushed past Kenya as the largest economy in East Africa," according to the report. Ghana's slide to fifth position was mostly due to perceptions of worsening corruption and weaker economic freedom. Kenya came in at 6th position. According to the report, despite being surpassed by Ethiopia, investors are still attracted by Kenya's diverse economic structure, pro-market policies and brisk consumer spending growth. At the same time, the report found that "a host of business-friendly reforms aimed at rooting out corruption and steady economic growth" helped Tanzania climb by two places to number seven. Rwanda - in 8th position- has re-entered the Top 10-list after having just missed it the past two years. According to the report, the country was helped by being one of the fastest reforming economies in the world, with high real growth rates and making a continuing attempt to diversify its economy. Cote d'Ivoire slipped two places to take up the tenth position, while Algeria slipped from 10th to 15th place. "Although its business environment scoring is still relatively low, its government has made significant strides in inviting investment into the country leading to a strong increase in foreign direct investment over the years resulting in one of the fastest growing economies in Africa," states the report. The research shows, furthermore , that Uganda is steadily closing in on the Top 10 though market activity is likely to remain subdued after a tumultuous 2016 marred by election-related uncertainty, a debilitating drought and high commercial lending rates. "Some countries have been more nimble and effective than others in managing shortfalls," explains Nema Ramkhelawan-Bhana, RMB Africa analyst and an author of the report. "But major policy dilemmas have ensued, forcing governments to balance economically prudent solutions with what is politically palatable." RMB Africa analyst and co-author of the report Celeste Fauconnier adds that over the past three years, some African governments have had to implement deep and painful budget cuts, announce multiple currency devaluations and adopt hawkish monetary policy stances - all as a result of a significant drop in traditional revenues. "The last three years have sounded an alarm, amplifying what is now a dire need for the economies of Africa to shift their focus from traditional sources of income to other viable alternatives," says Neville Mandimika, RMB Africa analyst and contributor to the report. Another RMB Africa analyst and co-author, Ronak Gopaldas, emphasises that there is no quick fix to infuse into such a complex situation. Gopaldas expects traditional forms of revenue will remain a reality for many years to come.